REDUCED! Simply remarkable fully renovated and fully furnished 3 bedroom/2 bathroom ground floor condo in the Bahama Bay resort. This has been an income producer since day 1 with the seller consistently booking over 200 days per year. 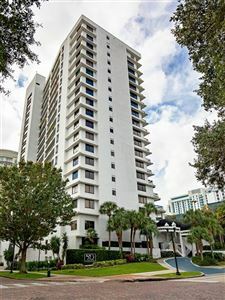 Purchased in of 2016, the current owner fully renovated the unit to include new wood-like ceramic floors, new stainless appliances, fresh paint and all brand new furniture. This beach themed unit has everything you would need for immediate rental including bookings. The kitchen is well appointed with everything your guests will need and open to the dining/living space. New Stainless appliances provide ample room for cooking/storage. The bedrooms are in a split pattern with two bedrooms and one bath in the front and the master to the rear of the condo. An additional utility closet houses the stackable washer and dryer and extra storage space. There are two screened lanai's, one off the living room with garden and pool views and one off of the master bedroom with garden and pool views as well. The master bedroom has two large closets for storage as well as a master suite. Bahama Bay is a beautiful gated resort minutes from the back gates of Disney that boasts 2 restaurants, 4 heated pools, 6 whirlpools and playgrounds. There is also a beach with extra sitting area on Lake Davenport as well as hammock space. This is a resort to make you feel as close or as far away to the parks as you want to be. Bookings available upon request. Megan Dowdy Realty participates in the MFRMLS Internet Data Exchange (IDX) program, allowing display of other MFRMLS broker’s listings on this site. However, may not include all listings currently available. Information is deemed reliable but not guaranteed. Information last updated on 4/24/19 3:14 PM PDT.